ALife Robotics Corporation Ltd. is young company and was founded in 2008/04/18 to develop devices for IT, robot, welfare, care, etc. and implementation of A Series of International Conference on Artificial Life and Robotics (ICAROB1996〜)（Scopus & CPCI-Web of Science as the objective in striving toward Challenge for Humans Friendly New Technologies in 21st Century. The company will work on human beings’ health and life and the protection of environment for creating the new value future. In the future we will strive toward products development for supporting comfortable and peace livelihood and contribute to community and a member of future society. Masanori Sugisaka graduated from Doctor Course at Department of Electrical Engineering of Kyushu University (Japan) in 1973/03/31. He became Assistant Professor at Department of Electrical Engineering of Oita University in 1973/04/01. He was Visiting Associate Professor of Electrical and Computer Engineering at Drexel University (USA) in 1981-1982 academic year. He was Professor of Department of Electrical Engineering at Oita University from 1988/08/01 to 2008/03/31(Japan). He was Professor of Department of Mechanical and Electrical Engineering of Nippon Bunri University from 2008/04/01 to 2012/03/31(Japan). He was Visiting Professor of KAIST (Korea), University of Malaya (Malaysia), Wrocław University of Technology (Poland) and External Researcher of RIKEN (Japan), He founded International Symposium on Artificial Life and Robotics in 1996 by the support of Japanese Government from 1996 to 2009. He founded ALife Robotics Corporation Ltd. in 2008/4/18. He have founded Journal of Artificial Life and Robotics by Springer in 1996, and also was Editor-in-Chief of Artificial Life and Robotics from 1996 to 2013. Recently he have founded Journal of Robotics, Networking and Artificial Life by Atlantis Press, at 2014. He is now Visiting Professor of The Open University (UK) in corroboration with Prof. Jeff Johnson in and Visiting Professor of University of Malaysia-Perlis (UniMAP) (Malaysia). His main research field is artificial life and robotics. 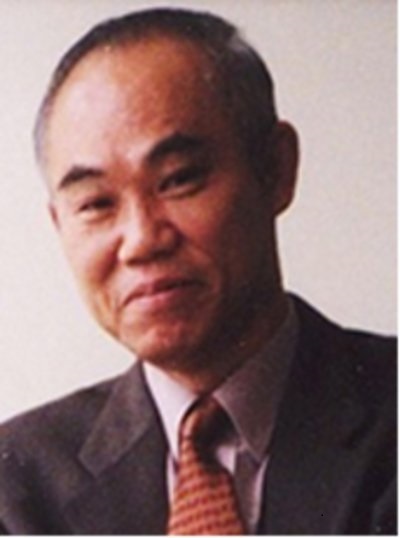 He is now operating The Series of International Conference on Artificial Life and Robotics (ICAROB1996〜) as Editor-in-Chief & General Chairman, which has been included in the Conference Proceedings Citation Index (CPCI)-Web of Science by Thomson Reuters and which has been included in Scopus by Elsevier. International Journal of Robotics, Networking and Artificial Life (JRNAL) as Editor-in-Chief has been accepted for indexing in the Emerging Sources Citation Index, a new edition of Web of Science™. Content in this index is under consideration by Thomson Reuters and accepted in the Science Ctation Index Expanded™, the Social Sciences Citation Index®, and the Arts & Humanities Citation Index®. ICAROB resulted from the AROB-symposium whose first edition was held in 1996 and the eighteenth and last edition in 2013. The AROB symposium was annually organized by Oita University, Nippon Bunri University (NBU), and ALife Robotics Corporation Ltd., under the sponsorship of the Science and Technology Policy Bureau, the Ministry of Education, Science, Sports, and Culture (Monbusho), presently, the Ministry of Education, Culture, Sports, Science, and Technology (Monkasho), Japanese Government, Japan Society for the Promotion of Science (JSPS), the Commemorative Organization for the Japan World Exposition ('70), Air Force Office of Scientific Research, Asian Office of Aerospace Research and Development (AFOSR/AOARD), USA. I would like to express my sincere thanks to not only Monkasho (annually fund support from 1996 to 2013) but also JSPS, the Commemorative Organization for the Japan World Exposition ('70), and various other Japanese companies for their repeated support. The old symposium (this symposium has been held every year at B-Con Plaza, Beppu, Oita, Japan except in Oita, Japan (AROB 5th ’00) and in Tokyo, Japan (AROB 6th ’01).) was organized by the International Organizing Committee of AROB and was co-operated by the Santa Fe Institute (USA), RSJ, IEEJ, ICASE (Now ICROS) (Korea), CAAI (P. R. China), ISCIE, IEICE, IEEE (Japan Council), JARA, and SICE. The old AROB-symposium (Editor-in-Chief, Masanori Sugisaka of Journal of Artificial Life and Robotics (1996~2013)) expanded much by absorbing much new knowledge and technologies into it. This history and character of the former AROB symposiums are passed on the current ICAROB conference and to this journal, International Journal of Robotics, Networking and Artificial Life (JRNAL). From now on, ALife Robotics Corporation Ltd. is in charge of management of both the conference and the journal. The future of the ICAROB is brilliant from a point of view of yielding new technologies to human society in the 21st century. This conference invites you all. © 2008 Copyright The Regents of ALife Robotics Corporation Ltd. All Rights Reserved.